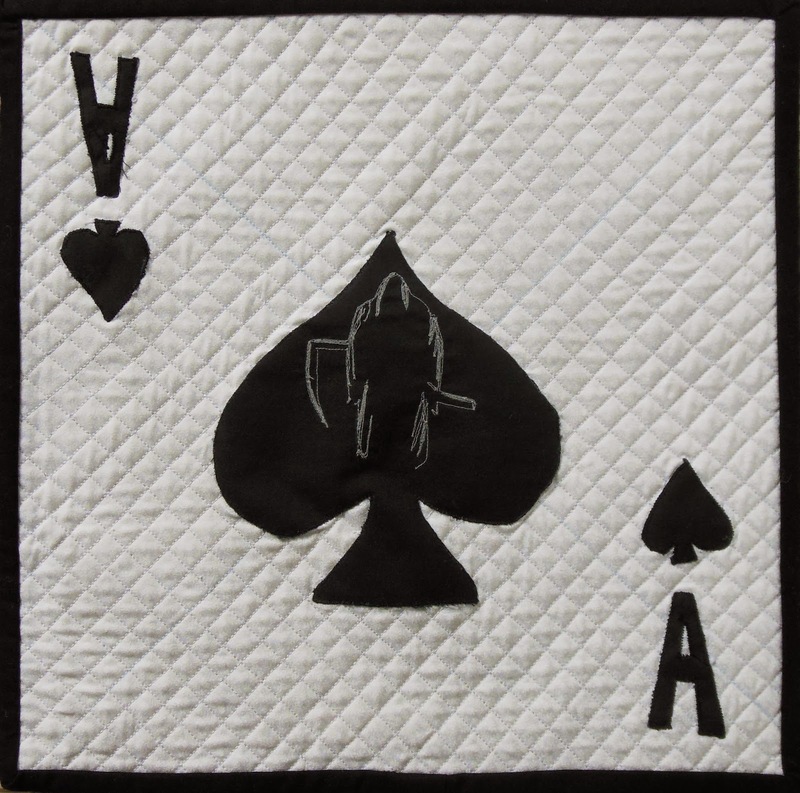 We’ve shuffled the deck, added new ‘cards’ to our party, and for two months held our hands close to our vests. 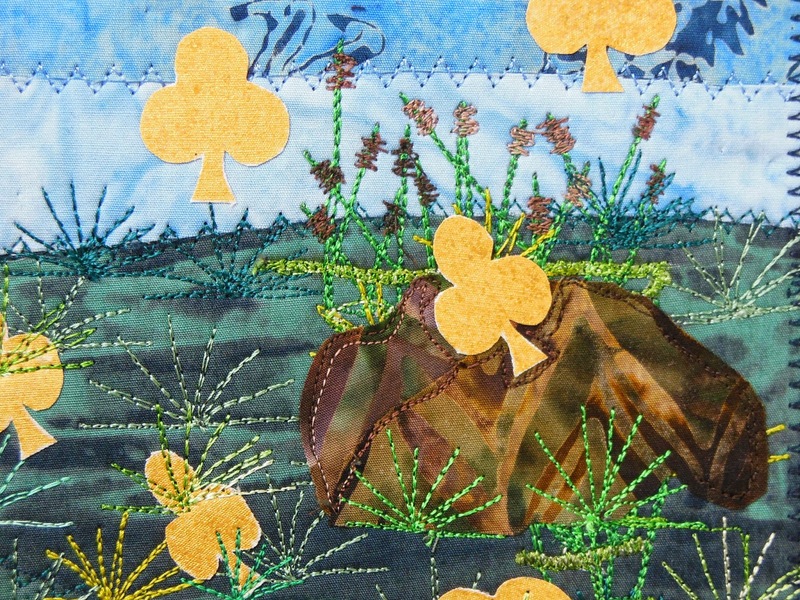 Now it’s time to finally lay those hands down and show our cards quilts! 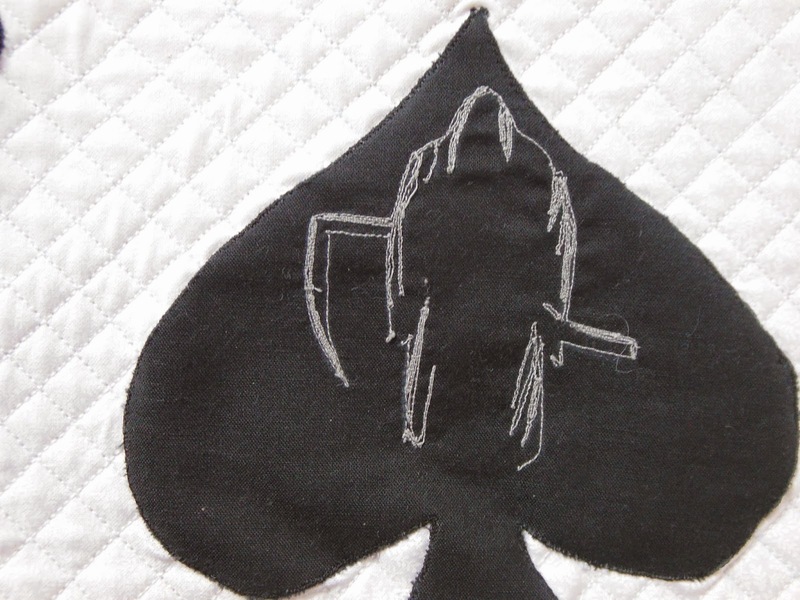 For this challenge we drew for suits – Hearts, Diamonds, Clubs, Spades, and a Joker… and along the way even slipped in a wild card. 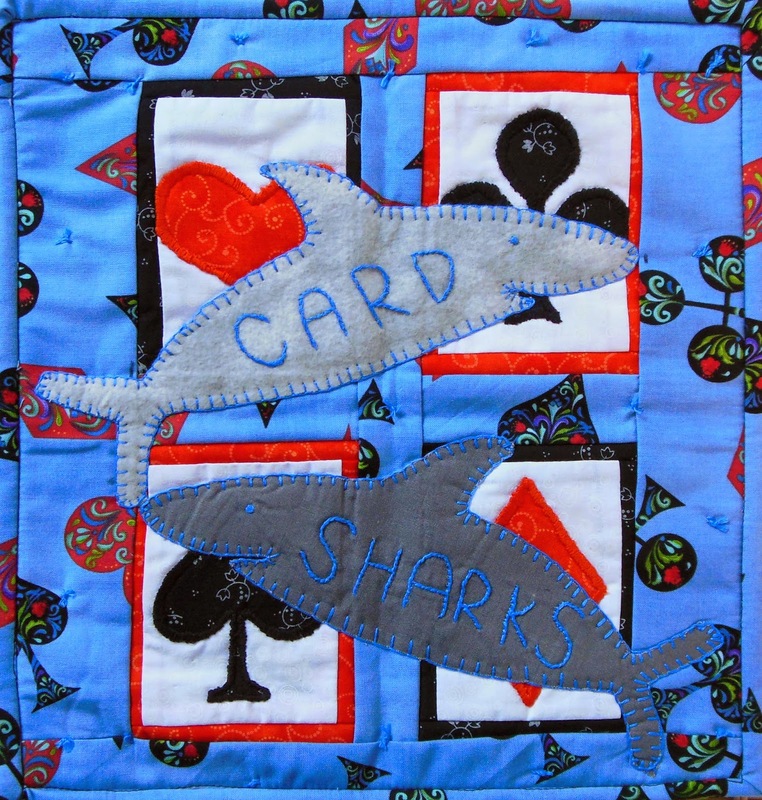 Cath Post is a new quilt artist to our group. 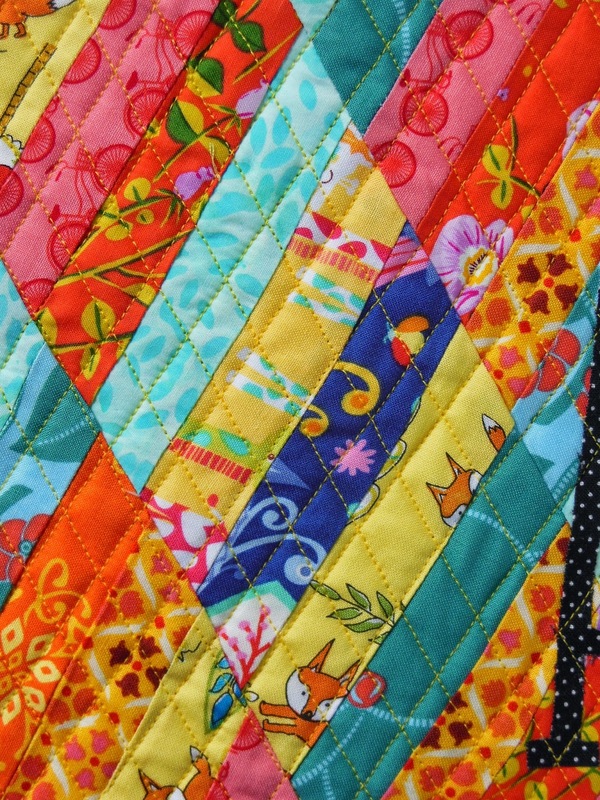 She crafted a beautiful design and did her first free motion quilting ever on this quilt. It is fresh and modern! 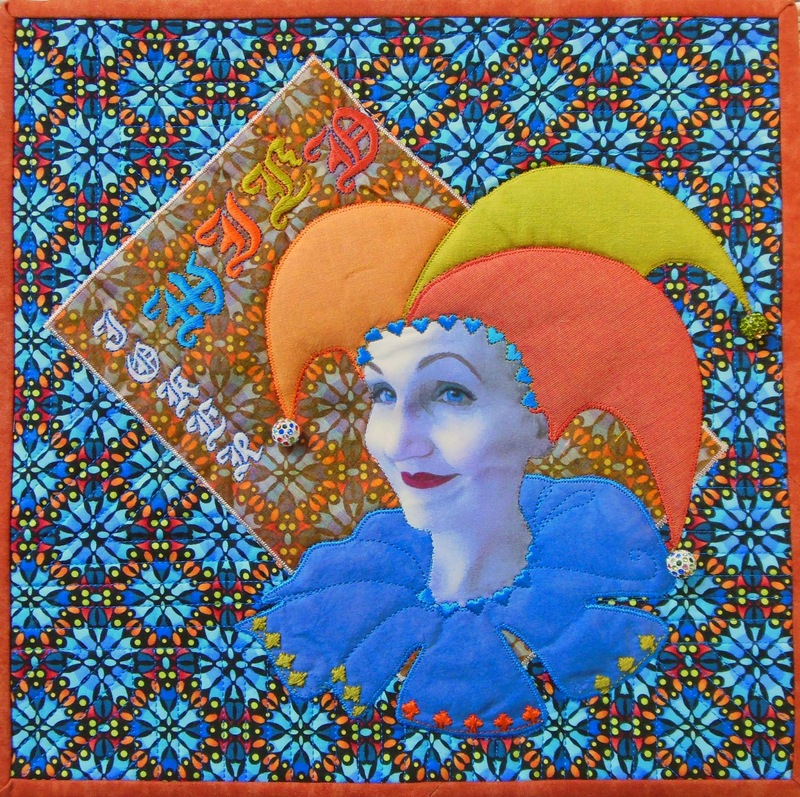 Jean Shultz brings her humor, warmth, and years of sewing experience to our group and we happily welcome her. 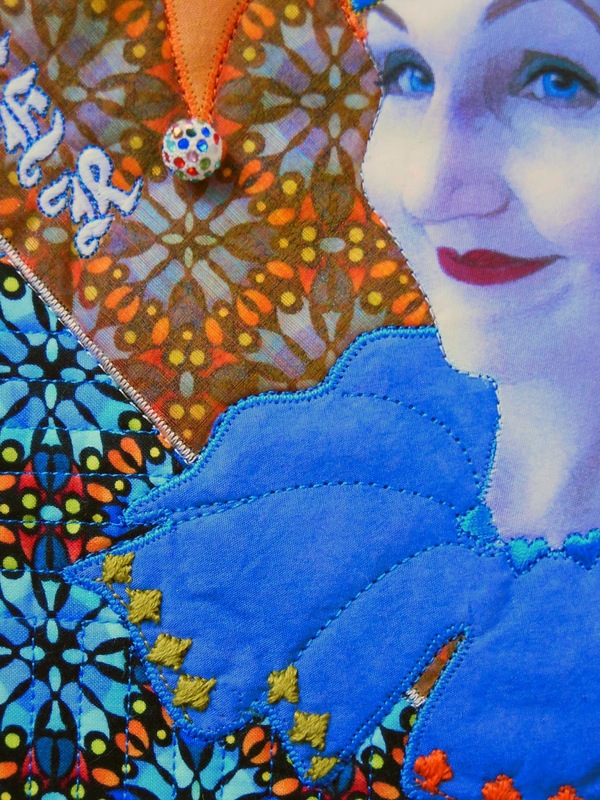 She reports that working within the constraints of a theme was a new experience that initially felt discordant to her creative process. 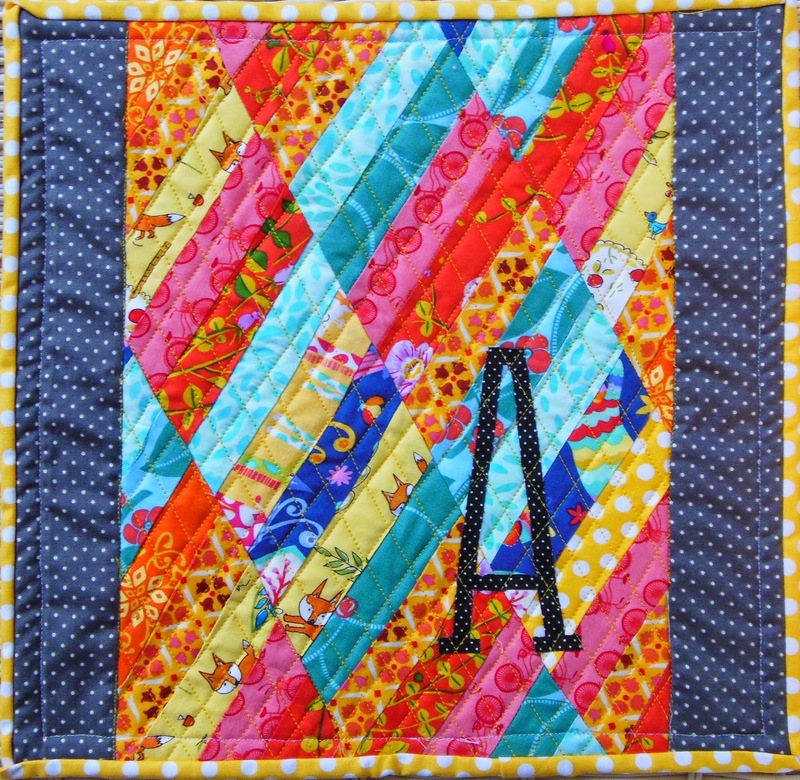 I think she ‘aced’ it with her diamond stitched/diamond pieced quilt. Every group has one and this time it’s me… literally! I made myself up, took some selfies (the Hubs had a good laugh over the outtakes) and had fun with photoshop. 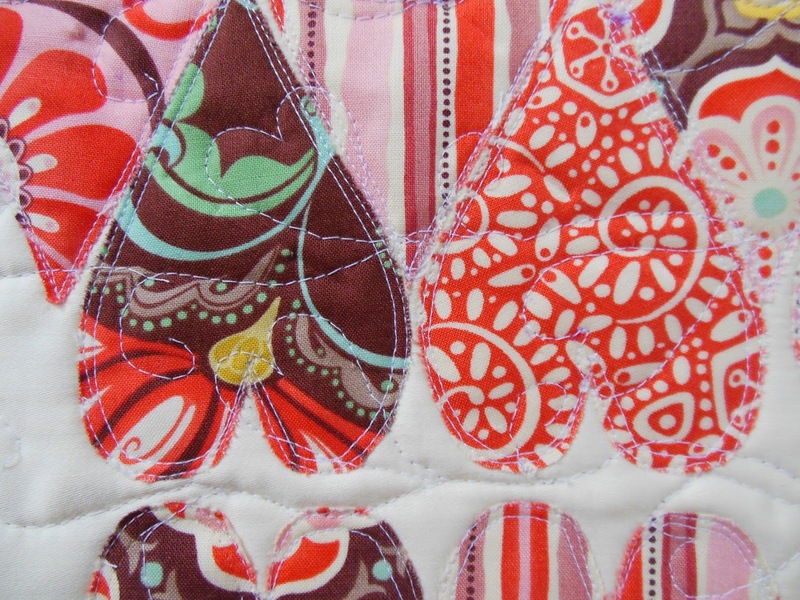 Layering fabrics gave me some problems I didn’t anticipate but it’s okay – next time I’ll know better. Well, that’s the end of this party. Two months from now we’ll do it all again -with class! 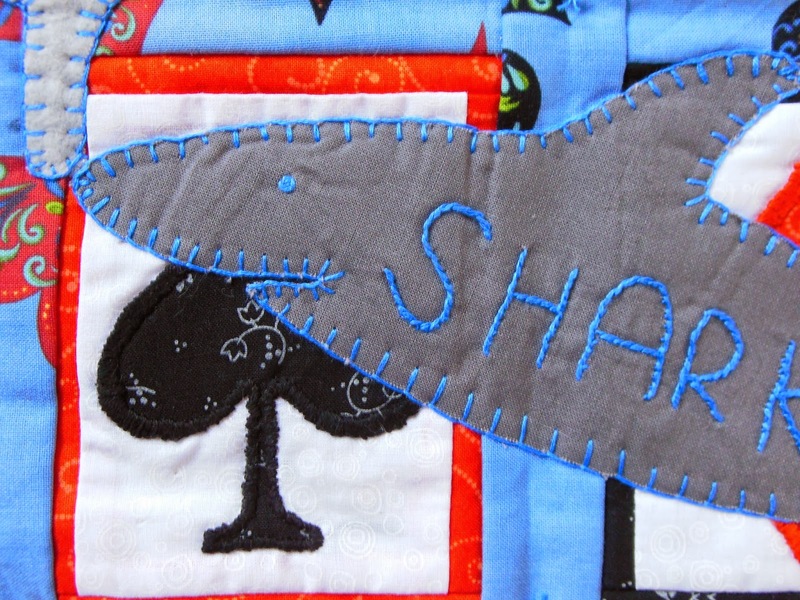 – when we reveal the quilts from our next challenge theme: Classic Literature. Linking here to Off The Wall Friday.